Most Chamber of Commerce print publishing standards continue to remain solely reliant on member advertising support revenue to stay profitable. Town Square believes through added value products, exceptional customer service and education in both the offline and online marketplace is the best way to remain relevant and improve member support. We have reinvented the sales approach and reevaluated the production process which in turn has ultimately improved partnership relations with the chambers and their member’s willingness for greater ROI through continued participation. Chamber organizations are continuously challenged to stay ahead of the curve while remaining the leaders in their local business environment. The need for relevancy to their membership has never been greater and marketplace education is a key element. 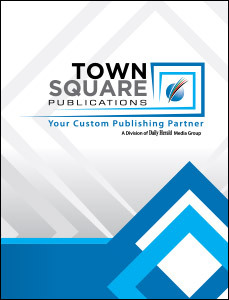 Town Square is designed to assure any business their investment with the organization is not only relevant but extremely valuable. Town Square’s diversified programs encourage Chambers to realize the value of a true partnership, one that creates relevant content to meet and exceed their members networking needs.